Today you will take a high-speed train to the capital of Shanxi Province, Taiyuan, which has been an important line of defense against foreign invasion since ancient times. There you will visit the Interactive Coal Museum of China. China mines more coal than any other country, and the construction of this museum is a major event in the development of China’s coal technology. Its function is to collect and preserve important relics and historical data in order to review and summarize China’s advances in coal technology and mining industry safety, thereby demonstrating the progress that has been made in these areas. The museum features an underground mine designed to vividly and realistically show the entire process of coal mining, from the discovery of coal to its excavation, so that you may better understand the richness of the long history of Shanxi’s coal industry. After you have watched a documentary on coal mining, descended into the bowels of the earth in a cage elevator, and taken a ride on a mine train, you will have personally penetrated the mysterious world of coal mines. Following your tour of the museum, you will have a chance to enjoy authentic Shanxi-style noodles. Today you will travel to Wutai Mountain, the most important of the “four great Buddhist mountains” in China and now a UNESCO World Heritage Site. First, you will visit Bodhisattva Peak, one of the “five sacred Buddhist sites” on Wutai Mountain and the most opulent of its temples. From there you will go to one of the first temples built in China, Xiantong Temple, which is just as renowned as Luoyang’s famous White Horse Temple. Xiantong Temple is the oldest temple at Wutai Mountain and is also the largest and most influential. 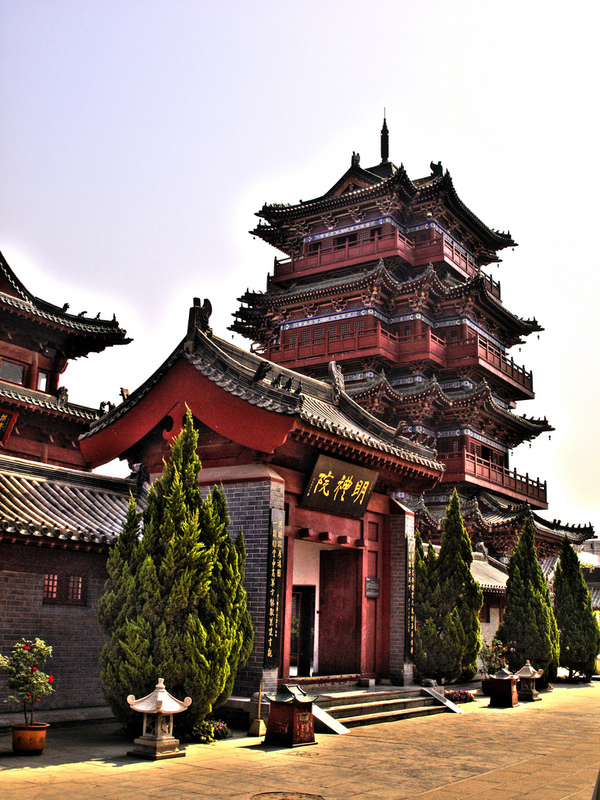 The third sacred site you will visit, Tayuan Temple, known for the soaring white tower that houses sacred bones of the Buddha, is traditionally called “the Great White Tower” and is considered a symbol of Wutai Mountain. The fourth and last site you will visit is the Temple of Ten Thousand Buddhas; also known as “the Temple of Five Grandfathers,” it is where visitors to Wutai Mountain feel inspired to burn the most incense. For dinner this evening, you will enjoy a Buddhist vegetarian banquet. 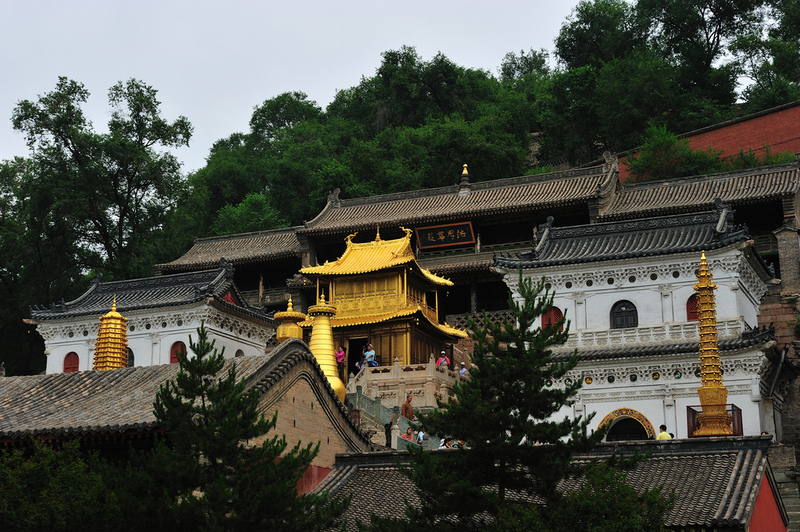 After breakfast, you will tour Wutai Mountain’s temple complex, which includes Shuxiang Temple and Puhua Temple. 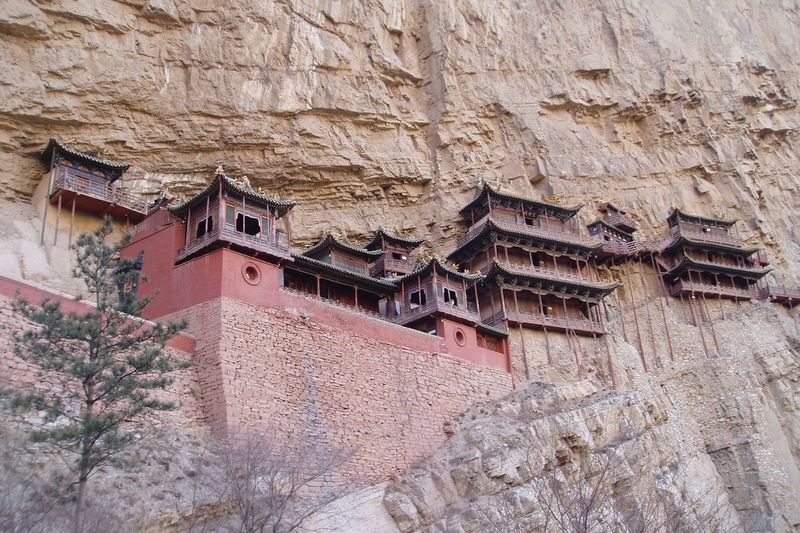 Then you will go sightseeing at Heng Mountain, one of the “five famous Taoist mountains.” There you will take a tour of Xuankong Temple (also known as the Hanging Temple), famed for its scenery, the precariousness of its mountainside location, and the strangeness and skill of its construction. Made entirely of wood, the temple has a small foundation that only covers an area of 152.5 square meters, but it contains 40 rooms. 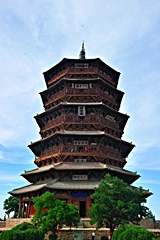 Finally, you will stop in Yingxian (“Ying County”) to visit the Yingxian Wooden Pagoda, also known as the Sakyamuni Pagoda of Fogong Temple or simply the Muta (“wooden pagoda”). Built in 1056, the 200-foot tall Muta is the oldest temple made completely of wood still standing in China. Afterward, you will travel to Datong, where you will have dinner. 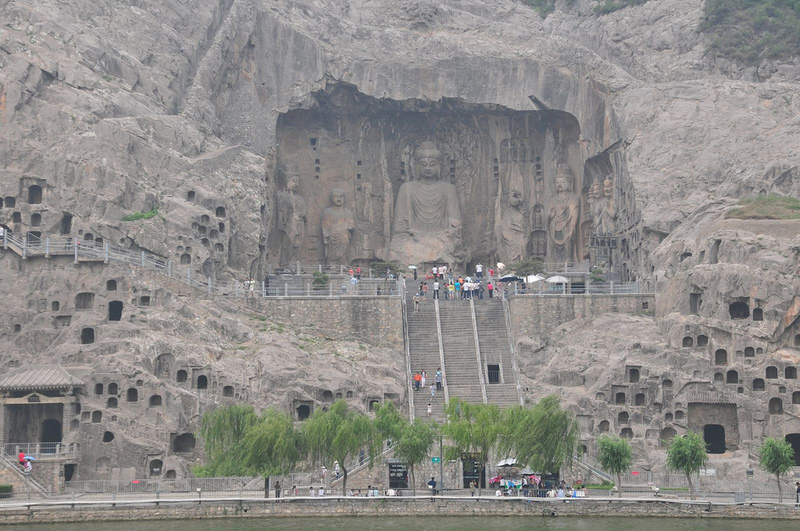 After breakfast, you will tour the Yungang Caves (or Yungang Grottoes), a complex of 45 ancient Buddhist caves that are known as an “Oriental treasure house” because they contain some 51,000 stone Buddha statues. The Yungang Caves, whose construction began more than 1,500 years ago, are one of the three biggest such Buddhist grotto complexes in China. After lunch you will return to Taiyuan, where in the evening you can take a relaxing stroll in the “pedestrian street” shopping area near your hotel and take in the local culture. 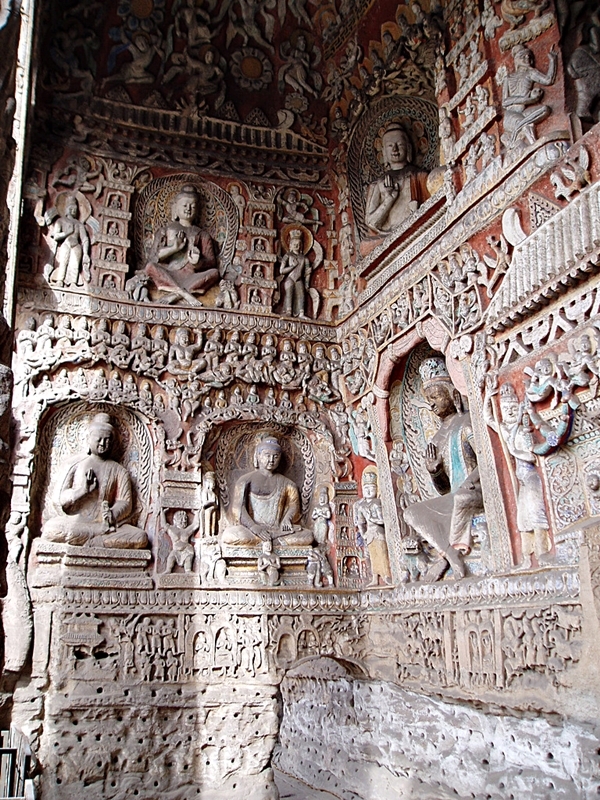 Today, after breakfast, you will visit the Shanxi Museum, where you can explore Shanxi’s thousands of years of history and see how each period of China’s history has influenced Shanxi culture. After lunch, you will travel to Pingyao. Among China’s ancient cities, Pingyao stands out as the one whose traditional character is the best-preserved. 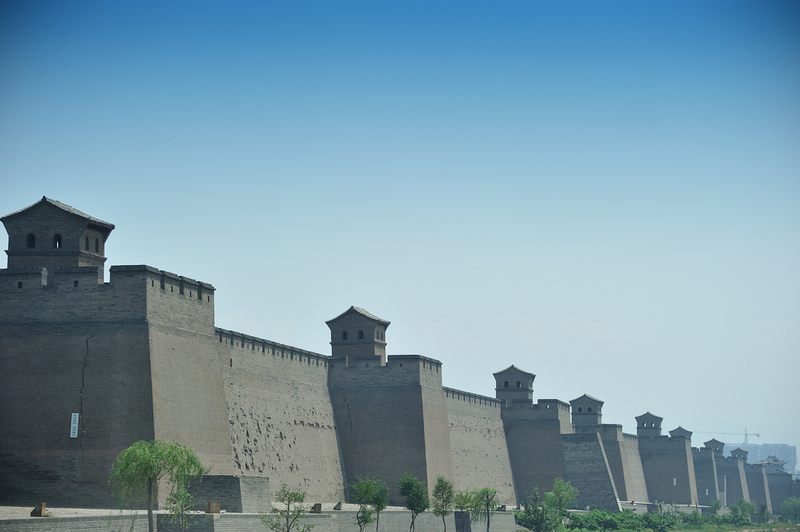 Pingyao’s ancient city wall is one of the four most famous in China, and it’s also one of the oldest and largest brick city walls of any small city in Shanxi and even in all of China. The city’s Sunrise Prosperity Draft Bank, the rural ancestor of China’s modern banks, was the first private financial organization to provide banking services to customers in different areas. You will also visit Mingqing Street, which has been a commercial distribution center since the Ming Dynasty; there are storefronts lining the street and shops everywhere, once earning the area a reputation as “the number one financial center of the Qing Dynasty.” Afterward, you will take a nostalgic tour of some of the city’s ancient establishments. After breakfast, you will first visit the Paleolithic-era Ding Village Ruins before heading to Guandi Temple in Xiezhou, near the city of Yuncheng. Guandi Temple is the largest extant temple in China dedicated to Guan Yu, a formidable general from Chinese history who became one of China’s most popular gods. Because Xiezhou was General Yu’s hometown, this grand temple has a lofty status among China’s temples and has garnered people’s respect and interest for hundreds of years. After breakfast, our tour bus will take you to the city of Luoyang in Henan Province, to see White Horse Temple, which was built more than 1,900 years ago during the Eastern Han Dynasty and was the first Buddhist temple built in China. 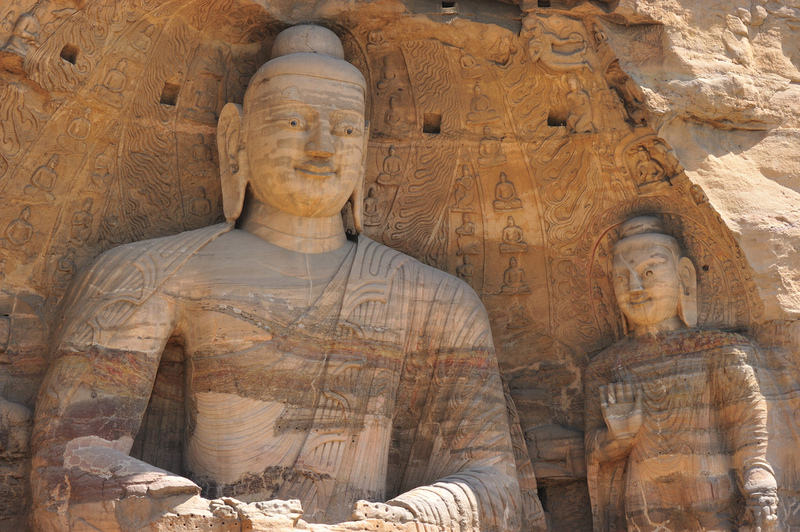 Afterward, you will tour the Longmen Caves (or “Dragon Gate Grottoes”), one of China’s “four great cave complexes,” which was dug 1,500 years ago; now there are more than 1,300 caves that contain more than 100,000 Buddhist statues and more than 40 Buddhist pagodas. 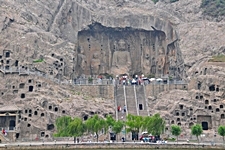 The Longmen Caves were designated as a UNESCO World Heritage Site. Among the most famous sights in the area are Guyang Cave, Fengxian Temple, Lotus Cave, and Ten Thousand Buddha Cave, all of them invaluable cultural sites and relics. Next you will proceed to Guanlin, where the decapitated head of Guan Gong (Guan Yu) is buried. Because Guan Gong was venerated as a military sage in the ancient world, his tomb was built to be grand and imposing. Finally, you will visit Tianzijia Museum, which boasts relics dating back to the 8th century B.C., when Luoyang (then called Luoyi) was the capital of the Zhou Dynasty. For dinner, we have arranged a truly unique “shuixi”-style meal. Today you will venture to Song Mountain near Dengfeng to visit the Shaolin Monastery, the ancestral home of the Chan branch of Buddhism (“Zen” in Japan) and also the birthplace of the Shaolin school of martial arts. Within the temple are many stelae, or stone tablets, of great aesthetic value. Thousand-Buddha Hall and White Clothes Hall are named for the exquisite paintings featured within. 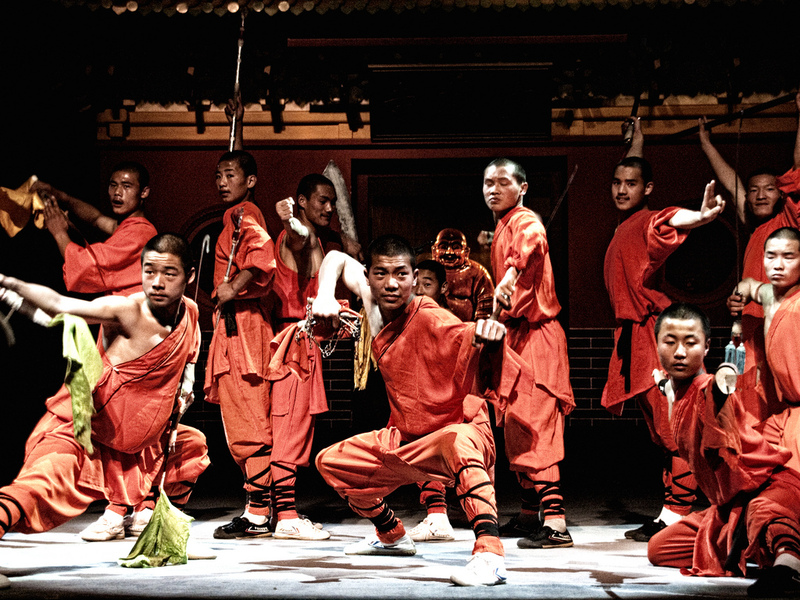 During your visit, you will also have the opportunity to watch a Shaolin martial arts performance of matchless brilliance. Next you will see the Pagoda Forest, a cemetery filled with hundreds of stupas, or tomb pagodas, where many eminent Shaolin monks are buried. Afterward, you will enjoy a feast of authentic Henan-style cuisine, followed by a visit to the Henan Museum, which features a fabulous collection of relics from Henan Province’s glorious past. Finally, you will travel to Zhengzhou, where you will eat dinner and spend the night. After breakfast, you will drive to Kaifeng to visit the Qingming Riverside Landscape Garden, a reconstruction of a Song Dynasty riverside town based on the famous painting “Along the River During Qingming Festival,” by the Song Dynasty painter Zhang Zerui. As in Virginia’s Colonial Williamsburg, people in the town wear Song Dynasty-style clothing, and as you walk among them it will seem as though you have journeyed a thousand years into the past. Afterward, you will visit the Memorial Hall of Lord Bao, which was constructed in honor of Bao Zheng, a revered high official of the Northern Song Dynasty. 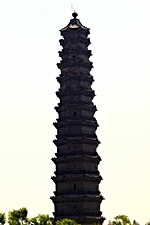 You will then continue onward to the Northern Song Pagoda, which has been officially recognized as a “national treasure” of China. 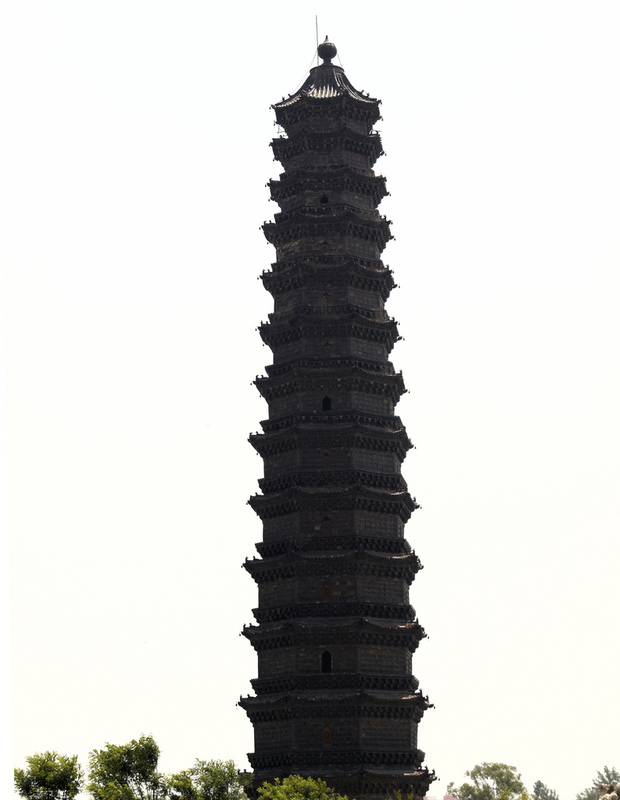 Though nicknamed “the Iron Pagoda” because of its deep brown color, its bricks are actually made of liuli (“colored glaze”), which is similar to crystal glass. After dinner at the restaurant that serves the most famous steamed buns (包子, bāozi) in Kaifeng, you can stroll along Imperial Song Street, which features Song Dynasty-style restaurants and shops that sell antiques, calligraphy, and souvenirs, and visit the Shanxi-Shaanxi-Gansu Guild Hall. Today you will return to Zhengzhou, which is located in central Henan Province, on the south bank of the Yellow River. Zhengzhou is one of the most important industrial cities in China, and because it is situated on China’s Central Plains, it is of great importance as a center of transportation. It is also known as a commercial city because of its commercial prosperity in ancient times. After your arrival in Zhengzhou, you will proceed to the Yellow River Scenic Area, whose sights include Five Dragons Peak, the famous “Yellow River Mother” Statue, and the Yellow River Stone Tablet Forest, a cluster of many stelae (stone tablets) of every description. You will also take a tour of the Yellow River on a hovercraft. As night approaches, you will stroll through the Gulou Night Market and enjoy a dinner of Cantonese food and “Old Ma” hot pot. Today you will take a flight to Beijing or Shanghai, where you can either fly back to the United States or continue your vacation in China; if you’d like to make additional travel arrangements, please let us know.